A big thank you to everyone who played along with our color challenge! 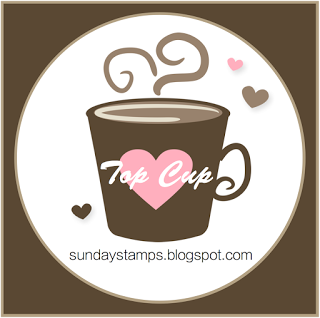 The Sunday Stamps team had a great time visiting all of the blogs and seeing how folks used the colors! Heidi, thank you for choosing my card. It's always an honor to be a Top Cup. Congratulations to all of the other winners. Thanks for the shout-out and the great challenges - loved those colors! Thank you, Lisa for choosing my card this week. Loved those bright colors. Congrats to all the other awesome creations. Thanks for the pick, Monika! How exciting! I love this color combo and ALL the submissions were wonderful! Thank you Teresa for picking my card this week. Super exciting. Congratulations to all the top cup picks. Great Job.